We took a road trip between August 23rd and September 2nd that took us down through Washington, Oregon and northern California that included visits to or hikes at the following places and points of interest listed below. The pictures are up on Flickr and linked to from this page. As I write about individual places, I’ll link to the new posts from this one. In the meantime, enjoy our pictures! 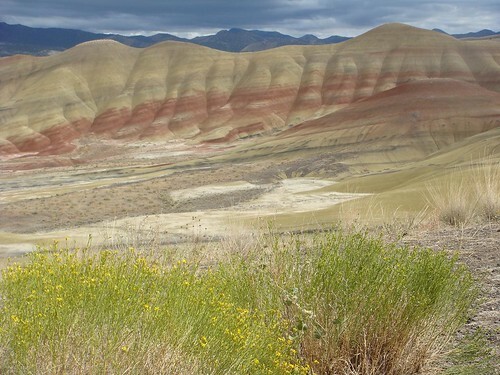 And just to get you started, here’s one from the Painted Hills at the John Day Fossil Beds in Oregon.